"Klein in der Tasche - groß in der Hand." Dieser Füller aus massivem Messing ist das Schwergewicht der Sport Serie, er wiegt 44g und ist damit das schwerste Kaweco Schreibgerät. Er wird aus hochwertigem Messing gedreht. 'Small in the pocket, large in the hand'. The design of the fountain pen by Kaweco (Koch, Weber & Co.) closely follows the original 1930’s octagonal design.The oversized cap arrangement creates a small closed pen but a full length open pen. 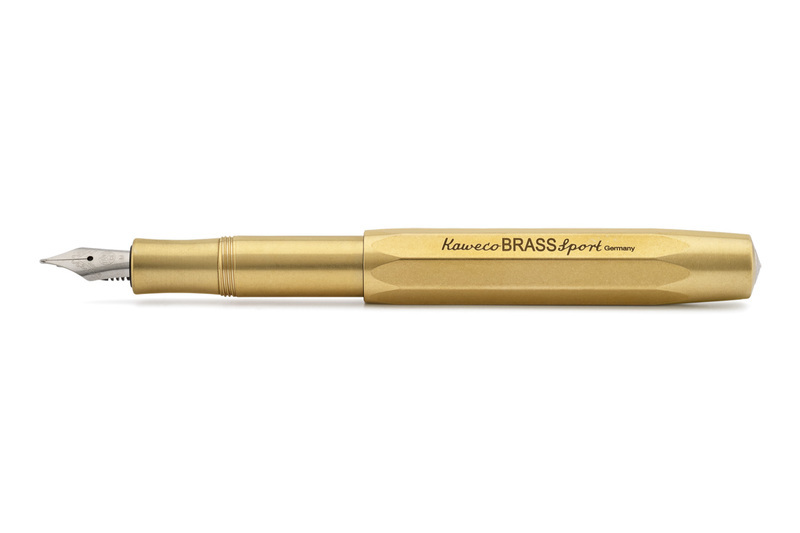 The Kaweco Sport brass fountain pen is the heaviest Kaweco pen, weighing 44 grams. It is turned from first-class brass.